The Arizona Corporation Commission consists of five statewide elected officials who oversee regulated utilities such as Arizona Public Service Co., Tucson Electric Power Co., and Southwest Gas Corp. The officials also regulate securities, corporations and railroad crossings. The job pays $79,500 annually.Note: To compare different sets of candidates, hit the "change candidates" button immediately below the photos. What do you see as the most pressing concern for corporation commissioners to address in the next four years? Do you agree with the mandate set by the Arizona Corporation Commission that utilities get 15 percent of their power from renewable sources by 2025? What changes if any would you like to see? What in your opinion is the No. 1 factor when setting just and reasonable rates for utilities to charge their customers? Do you agree with mainstream science that burning fossil fuels contributes to climate change, and do you feel it is the role of corporation commissioners to address that issue when regulating utilities? The commission has faced several ethical issues in recent years, including one commissioner forced to resign, and another former commissioner on trial for bribery. How would you suggest the commission deal with ethical concerns of this nature? Do you have any family ties to any regulated utilities and if so do you think they present a conflict of interest that would prevent you from doing the job? Have you ever worked for any regulated utilities and if so, how would that affect how you carry out your duties in this job? Do you think it would be reasonable to transfer some corporation commission duties to other state agencies, such as moving railroad crossing oversight to the Department of Transportation, and securities regulation to the Attorney General? Please explain. Many small water companies have run into problems in recent years providing adequate service. What ideas do you have that could help protect customers of these small companies that you could act on as a commissioner? How would you balance the need for public safety at railroad crossings with the economical concerns of railroads? What is the most important topic not being discussed in Arizona? I am the only candidate running with a clear plan and commitment to restore integrity at the Corporation Commission by adopting the Arizona Code of Judicial Conduct. I am also the only candidate with a natural resource background (PhD in Arid Land Resource Sciences-water), 20+ years of high-level, private sector management experience, and volunteer service in both the military (Air Force Veteran) and leadership in the non-profit community. With over 80% of the rate hearings at the commission being water companies, I will bring a unique skill-set to the commission when it comes to the most important issue for Arizona's future: water. The current commission has lost its way and I'm the only qualified, conservative, veteran running this election cycle who can restore the commission back to its constitutionally charged duties of protecting ratepayers first! Restoring integrity to the Arizona Corporation Commission is priority #1! The current commission has failed to put ratepayers first and instead has allowed the personal ambitions of commissioners and their inappropriate behavior to take priority over the citizens they are elected to serve. The commission has lost the trust of Arizonans due to the scandals, criminal investigations, petty-politics, and indictments that now plague Arizona's most important regulatory body by consuming time and resources that would otherwise be invested into protecting ratepayers pocketbooks. Rates can go up or down as the economy, technology, and circumstances dictate, and most Arizonans will be understanding of that, so long ratepayers trust that the Commission is functioning with integrity. We must rebuild the public's trust in their Corporation Commission! At the time it was passed, I would have disagreed because I feel the constitutional responsibility of the Commission is to protect the ratepayers and not advocating or creating mandates. Setting statewide energy policy is the role given to the Legislature in our constitution. As of today, most of the utilities are very far along in terms of reaching the 15% goal and the ratepayers have already been assessed rate increases to pay for the mandating infrastructure investments, so it makes no sense to change now. Like a great many things, burning fossil fuels likely contributes to climate change. Science, mainstream or otherwise, does not yet agree how much. Regardless, the Commission is not the appropriate venue for setting statewide energy policy. That remains the responsibility of the Legislature. The Commission's constitutional charge is to protect ratepayers while ensuring reliable, resilient, safe, and affordable public services. As tempting as it may be for elected Commissioners, some whom have demonstrated a desire for higher office, to expand the commissions role and be seen as being more active in certain areas, I do not believe the commission has the constitutional role to mandate or advocate and should instead remain focused on its constitutionally charged duties of protecting ratepayers pocketbooks while guaranteeing reliable, resilient, safe, and affordable public services from Arizona utilities. The Corporation Commission must adopt the Arizona Code of Judicial Conduct. The code is written by the Arizona Supreme Court and binding on every judge in the state. It works phenomenally well and the Corporation Commission's quasi-judicial nature is very well suited for it. Beyond the written rules, Commissioners need to hold themselves to the highest standards when it comes to conflicts or potential conflicts of interest. That's why the judicial code is designed to protect against not only impropriety but also the appearance of impropriety. The current commission unanimously passed a toothless ethics proposal 5-0 after defeating amendments to eliminate; 1. Contributions from regulated utilities and lobbyists, 2. Utility funded meals and entertainment, 3. Utility funded trips. The current commissioners are not willing to hold themselves to the exact same standards as every other judge in Arizona and that's what ratepayers deserve! Yes. The current structure of the corporation commission was created at statehood and any such effort would require amending the Arizona Constitution. Until that occurs, the Commission must faithfully execute its duties. My support for transferring some duties is largely based on most effectively serving Arizonans and the fact that issues receive oversight from those best qualified to provide it. While the core function of the Corporation Commission is protecting ratepayers and adjudicating rate cases, I'm hard pressed to name the last Commissioner with a great deal of personal experience or expertise on railroad crossing placement. Water, yes. Power generation, yes. But railroad crossings? No. The corporation commission must serve as the ratepayers watchdog and that means leveraging technology and transparency to support the public service corporations that serve their communities. Because many of Arizona's small water companies have not filed a rate case in a decade or more, the Commission has not had the opportunity to review their strengths, weaknesses, or the condition of their systems. As such, a mechanical failure can overwhelm the fragile economic strength of a smaller company and leave homeowners unprotected. I do not favor adding more regulations or bureaucracy onto businesses. Rather, I would be interested in working with the smaller companies and state legislature to develop a regular inspection period (every 10 years for instance) where smaller companies could efficiently, and easily, come to the Commission, even if they did not need a rate increase, to benefit both the companies and their customers. As a husband and father, i feel very strongly that public safety must always come first! Given my earlier answer I'm not going to even try to pretend like I'm any kind of railroad crossing expert. I suspect the railroads themselves would agree, either for moral or charitable reasons, or because they understand that there is a steep financial cost that comes with not protecting the public's safety. All that said, this question may support my previous comments about the legislature giving a hard look at to how railroad crossing safety is currently managed through the Corporation Commission and whether a constitutional changed may be warranted for the benefit of the public's safety, railroads, and Arizona's economy. Water. Water will be Arizona's most important issue in our future and working out long-term solutions will take listening, leadership, and collaboration. With the retirement of United States Senator Jon Kyl, Arizona no longer has a statewide elected official with a strong, legal or policy background in water. With my PhD in Arid Land Resource Sciences, background working on policy issues such as rainwater harvesting and gray-water re-use, service on the Arizona Farm Bureau State Board of Directors, and as a town manager having operated a municipal water company, I have the academic, policy, and operational background as well as statewide relationships to participate in discussions around Arizona's most important issue for our future: water! As a former commissioner, I can hit the ground running without any lag time of training. There are many functions of the commission and I am ready to roll up my sleeves and get the job done. Restoring integrity to the commission and ending the CORRUPTION there. When the REST was established in 2006, 15% by 2025 was a good start, but the mandate needs to be increased. I support the goals of the Clean Energy for a Healthy Arizona initiative, 50% renewables by 2030. A reasonable rate of return. Yes, and it should be addressed by the corporation commissioners. By adopting a real code of ethics, and by being a champion of integrity. No, I believe the state constitution put these powers exclusively with the Corporation Commission for good reasons, and these duties and powers should stay where they are. Proper oversight and responsiveness to consumer concerns by the Commission would have prevented these issues from developing and festering. There has been tremendous foot dragging by the commission instead of decisive, timely action on these issues. The serious issues with Johnson Utilities illustrate this. The Commission should have taken corrective action as recommended by staff to address these issues prior to now, but chose to ignore it. Now the current commissioners want to fast track all of this but there are rules and timelines set up by the commission in order for due process that exist to prevent these kinds of fast track responses. The Commission needs to follow its own rules. The railroad companies are Fortune 500 companies that are not having any economic issues, and there are no unreasonable requirements put upon them for public safety at railroad crossings. There needs to be a special emphasis on broadband, especially in our rural communities in Arizona, where Internet access is essential. Family Karyn and I have been married for 17 years. We have five sons and four daughters ranging in ages from 14 years to ten months. It has been an honor to serve on the Arizona Corporation Commission since being appointed by Governor Ducey in October of last year. My number one priority on the Commission has been to serve with the highest standards of ethics and integrity and to do everything in my power to strengthen the public confidence in the Commission. With my fellow Commissioners, I voted to enact Arizona’s first-ever Commissioner’s Code of Ethics. I offered amendments to the Code of Ethics to prohibit all candidates for the Commission from accepting campaign contributions from entities that the Commission regulates, mirroring the policy that my campaign had already adopted. On the Commission, I have been a voice for low utility rates and reliable public services. Due to the efforts that I led at the Commission, utility rates are lower today than they were when I was appointed to serve. I come to the Commission with extensive experience as a tax manager and an MBA in finance from ASU. The most important effort that I am currently working on and hope to continue to work on over the next four years is the effort to rebuild the public confidence in the commission. To accomplish this, I have proposed amendments to the Commissioner’s Code of Ethics to prohibit candidates for the Commission from accepting campaign contributions from entities that are regulated by the Commission. I have reversed policies that were enacted by a previous Commission that allowed utility owners to charge ratepayers for the utility owner’s individual income tax expenses. Most importantly, I have continued to serve with the highest standards of ethics and integrity. I seek to keep rates as affordable as possible for all ratepayers while maintaining safe and reliable public services. In order to accomplish this, I seek to minimize mandates that drive up the cost of utilities. Renewable energy production will appropriately continue to play an important role in Arizona as solar energy has become cost competitive with conventional energy production methods. In my opinion, the number one priority in rate setting is to approve the most affordable rates possible that will maintain safe and reliable public services. The role of the Commission is limited to its constitutional requirement to establish just and reasonable rates for public service corporations. The Commission should adopt the amendments that I offered to the Commissioner’s Code of Ethics that would have prohibited Commissioners and Candidates for the Commission from receiving campaign contributions or any other thing of value from entities that are regulated by the Commission. I do not have any family ties to any regulated utilities. I have not ever worked for a regulated utility. I think it would be reasonable if it would create a more efficient use of taxpayer dollars. If it decreases efficiency then it would not be appropriate to make the change. The Commission recently created the Small Water Ombudsman Office with the mission to help small water companies in the evaluation of long term infrastructure and acquisition planning in an effort to help ensure that the customers of these small water companies have reliable public services. I am very excited about the progress this new office has made in protecting these customers. I think that this office should continue to grow these efforts and the oversight that this office is providing on behalf of the Commission. Public safety is paramount. Earlier this year, the Commission received reports of increased motorist confusion at a railroad crossing in Arizona. The increased confusion resulted because the municipality with jurisdiction over the crossing did not comply with the Commission’s order to install a traffic signal preceding the railroad tracks. Instead, the municipality installed the traffic signal on the opposite side of the tracks. Following this incorrect installation vehicles were stopping on the tracks creating a very high risk of a collision. Immediately upon learning of this danger, my follow Commissioners and I acted and voted on a measure ordering the railroad to work with the city to move the traffic light to the correct side of the tracks or close the crossing. I am pleased to report that within less than five days from the Commission’s action the traffic light was installed on the correct side of the tracks and the safety of the community was restored. The lack of fiscal responsibility in Washington D.C. for generations is the most important topic that is not currently being discussed in Arizona. The amount of debt accumulated by policymakers in our nation’s capital creates a very real threat to the future strength of our country. If we are going to pass on a country to our children and grandchildren that is a strong and a free country we must resolve our fiscal crisis. I formerly worked at the Corporation Commission and have dedicated my entire life to public service. I am proud to say I have also done nonprofit work with the Arizona chapter of the American Lung Association, where I fought for clean air in Arizona and especially for my family. During my time at the Commission I worked in the water and wastewater department and have a lot of experience with water and public policy. As a hard working woman I believe that I am qualified to hold this office. I want to work on the Corporation Commission to not only make Arizona better for my kids and someday grand kids, but for all the ratepayers and citizens of Arizona here now. I believe in clean air, clean water, and clean politics. We cannot start working towards these goals in the future, we must start now. There are two main issues that Arizona should focus on which include encouraging solar and protecting Arizona’s resources. Beginning with solar, writing policies that incentivize households and corporations alike to move towards solar energy which will not only lower rates, but have crossover health benefits due to the clean nature of solar. Second, creating policies that protect Arizona’s resources, especially water. This includes policies that protect Arizona from companies that are heavily farming crops (alfalfa hay) for export. Protecting resources also refers to the quality of water being provided to consumers.Water provided in schools should be tested more frequently for lead by the ADEQ. I do support this requirement, but also believe that this standard should be raised. Arizona has the capacity to be the solar capital of the world and the standard of 15% is quite frankly too low. I am in support of other proposed standards that would require utility companies to generate 50% of their power from renewable sources by 2030. This 50% should not include nuclear power plants. If Arizona is on track to reach 2030 standards, I believe our state should strive for a standard of up to 80% renewable energy. Rates should be based on how much money it costs to provide electricity or water to consumers. Rates should NOT be based on how much profit companies such as APS want to make from ratepayers. Because of this, the Corporation Commission needs to return to a consumer first approach to regulating corporations and setting rates. The Commission can no longer approve rate increases to subsidize the cost of taxes on corporations. Another part of setting just and reasonable rates means educating ratepayers on peak hours to help ratepayers use electricity and water mindfully and in turn lower their bills. Burning fossil fuels does lead to climate change. This is a fact. And I also believe that the Corporation Commission has a responsibility to address this issue. Because we live in Arizona, there is no reason that solar and other renewable energy sources should not be utilized to create clean and sustainable energy. Utilizing renewable sources of energy means Arizona is also using clean energy. Aside from climate change itself, fossil fuels lead to pollution and the low air quality across Arizona. Corporations like APS are not going to make these changes on their own, which means the Corporation Commission must step in. There has been a lack of transparency in the Corporation Commission and the majority of Commissioners have failed to do the job they were elected to do, which is to serve Arizonans. The culture has to change to one of integrity and honesty. I would love to see this office be one in which all candidates use public funding, eliminating the issues caused by donations from energy companies and organizations that have a financial incentive to intervene in the race. Furthermore, corporations must be held accountable for their actions through strict policies, fines, and other disciplinary measures that are more strictly enforced than they are now. I do not have family ties to any regulated utilities and do not have any conflicts of interest. I have not worked for any regulated utilities, I formally worked for the Arizona Corporation Commission. I believe that the Arizona Corporation commission should maintain the authority it has now. The issue is more the current leadership that is in office. 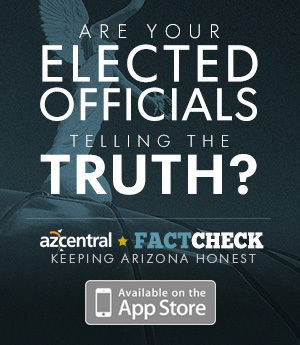 The Arizona Corporation Commission needs to restore integrity, trust, and service to the office. Arizona's unique office of Corporation Commission can be very effective if the right officials are elected to office. Due to corruption, faith in the AZCC has been lost, but the staff and experts at the Commission are qualified to handle all the current responsibilities. The Corporation Commission has policies regarding small water companies that can and should protect customers from small water companies.This is done by imposing performances bonds to ensure financial integrity of the company, to protect the ratepayers if there is operational failure, and to ensure the integrity and expertise of the heads of companies. Staff work hard to protect the public but the Commissioners have to support and approve such efforts. Also, the Commissioners have to be willing to take action where water companies are not correcting problems. Attorneys should not be allowed to come in and delay or defer necessary actions that would correct such problems. As a Commissioner I would work to implement more policies that protect consumers from companies such as Johnson Utilities. To address safety, meetings should be held with community members and other people that live near rail crossings to find the problems with current rail lines. Work should also be done with ADEQ to remove hazardous materials from rail lines but especially near rail crossings. Guardrails should be put back and rail should be put back to code to improve safety. To make rail more viable for business, rail should be better integrated with modern technology. High utility bills during the summer. High utility bills in the summer greatly inhibit middle and lower class hard working people from sending their kids back to school. All students in Arizona go back to school in August or September, and this is also when utility bills are the highest. Families should not be forced to choose between air conditioning and back to school supplies. This is an issue that we can begin to address with solar and other renewable energy sources. If this issue goes unnoticed, Arizona's schools will continue to struggle alongside Arizona's families.